YSL Dare to Glow Luminizer looks like a liquid metal as you squeeze it out of the tube. It appears very pigmented and intense, but once applied and blended you realize that YSL Dare to Glow is actually a very sheer highlighter. 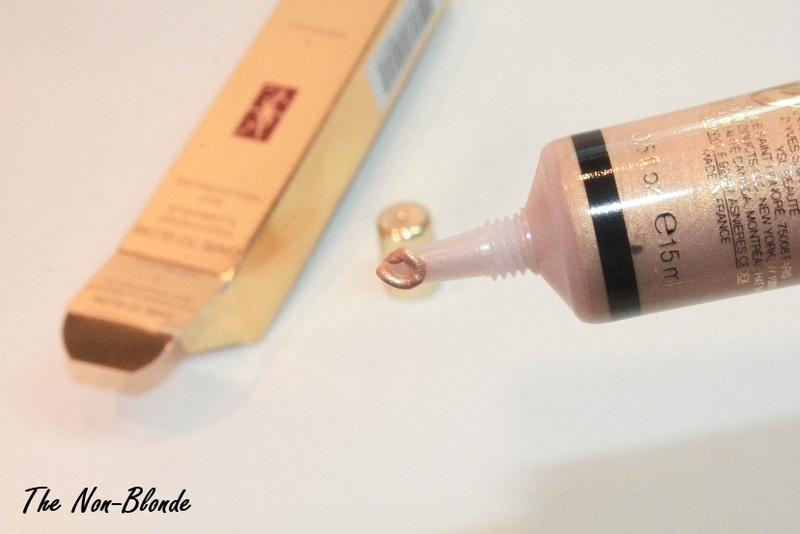 You can apply it straight on top of your foundation or mix them together in whatever ratio that suits you. In both cases, the effect will be incredibly subtle and will only appear when a strong light hits it directly (see bottom swatch photo). YSL Dare to Glow Luminizer comes in three shades. When I got mine at the counter two months ago there were only two: Tempting Gold (01) and Fatal Red (02). The latter was rather scary, but swatched like a a rose gold and had a pink cast. I chose Tempting Gold, which is visibly yellow. So much so that I have to be careful not to use too much of it, because my olive skin is far less yellow than one would expect (click on the top swatch to see what I mean). 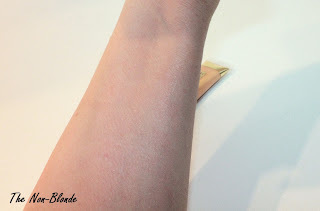 The pigment is more subtle when mixed with foundation prior to application, and works well with YSL Touche Eclat foundation. The light texture of both products is very modern and wearable. I have to say, though, that I've seen and tested more effective liquid highlighters, such as the ones from Rouge Bunny Rouge and Becca (though I don't like any of the colors Becca offers). Bottom Line: nice but not really necessary. 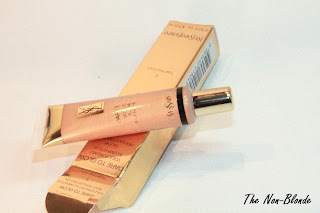 YSL Dare to Glow Luminize ($28) is a limited edition product for Fall 2012. It's still available at the counters and from yslbeautyus.com. I had my eye on this for months! I'll be getting one tomorrow actually and I'm really excited! I think this needs to be used as much as a pea size to have highlighted the whole area one would want to at one make up application. Hi Gaia, thanks for your review. :) Have you tried Becca's new moonstone? 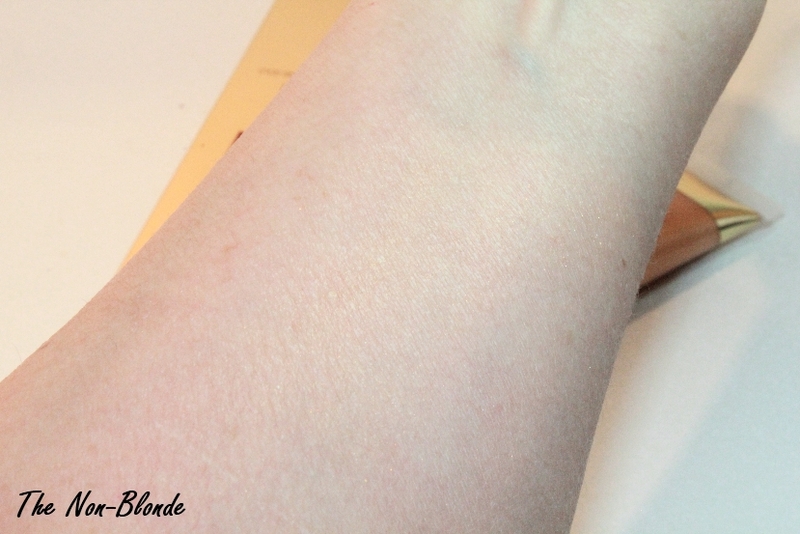 I find it suits my olive skin tone (~NC30) out of the others. Pretty. I really wish this came in a bronze or something more rich.